Are you looking for romantic things to do in Melbourne for a special occasion? Australia’s second biggest city could be your next honeymoon destination. With picturesque gardens, a beautiful skyline and amazing nightlife, there’s no better way to have romance-filled holiday. Melbourne offers everything from romantic dinner cruises to intimate jazz clubs and old world theatres. We’ve picked out 21 romantic activities to give yourself the most romantic trip of a lifetime! Romance fills the air at the picturesque Yarra River. Lined with barbecue and picnic facilities, fishing platforms and jetties, the Yarra River is definitely the social heart of the city. Board one of the river crafts at Southgate or Princes Walk and spend a cruisy night watching Melbourne pass by. 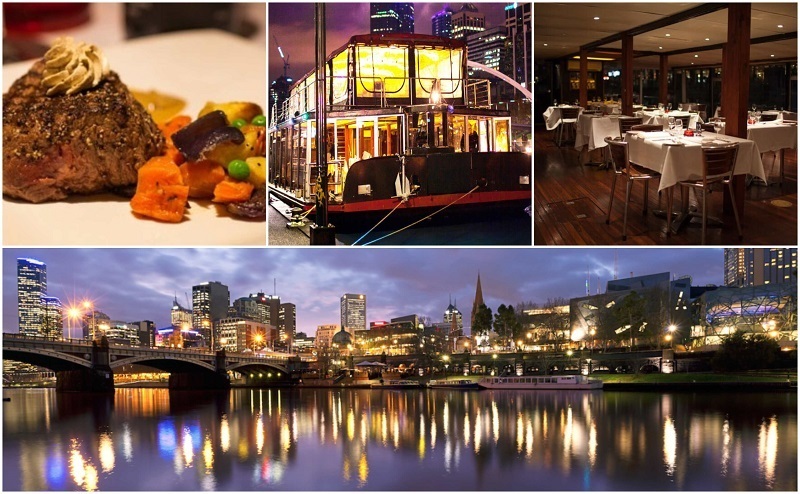 The Spirit of Melbourne Dinner Cruise is one of the most popular in the city. On this cruise, you’ll depart from Southbank Promenade and enjoy some of the city’s most stunning views, plus a sumptuous four course meal. Why is a dinner cruise a good romantic option? You’ll both take in beautiful views of the Melbourne skyline and see some of the city’s famous sites. Enjoy a romantic dinner, plus a glass of wine, beer and spirits. If you want to explore Melbourne with a vintage touch, this is the way to do it. Once a famous fleet of historical trams, the Colonial Tramcar Restaurant now offers the ultimate romantic experience on wheels. The innovative approach to dining includes a seasonal menu as well as a premier selection of Australian wines. Have a fantastic dinner, while riding around the city streets. What’s romantic about the Colonial Tramcar Restaurant? Cuddle in a cozy atmosphere. Get access to a fully-stocked bar along with a romantic dinner. See all of the amazing sights that Melbourne has to offer from a charming colonial tramcar. Witness Melbourne’s gorgeous skyline from the sky itself. The Melbourne Star Observation Wheel is the Southern Hemisphere’s only giant Ferris wheel offering 360 degree panoramic views of the city. 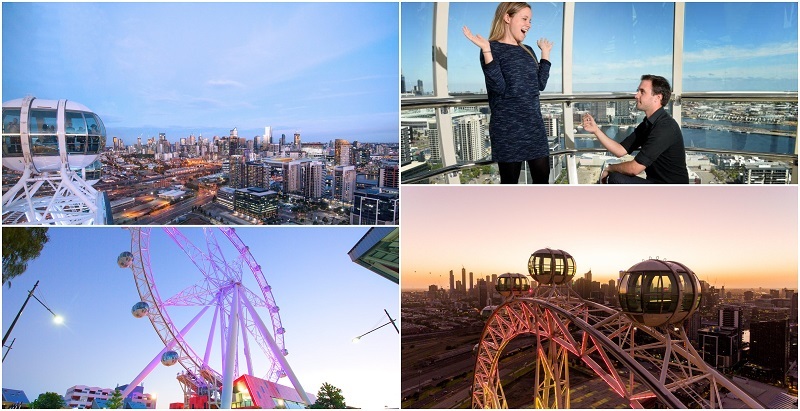 Sit back, relax and enjoy the lovely scenery with one of the Melbourne Star’s unique romantic packages. You can enjoy everything from a glass of wine to a classy winter chalet. Why is the Melbourne Star Observation Wheel a great romantic option? Get a glass of sparkling wine 120 meters above the city streets with the Observation Wheel’s “Sparkling Flights” package. Enjoy a cozy cup of hot mulled wine as a wintery treat with the Observation Wheel’s “Mulled Wine Flights” package. You can book a private cabin on the Ferris wheel for the ultimate romantic evening. If you’re thinking about getting engaged, The Observation Wheel can even host your wedding proposal. This tour is perfect for animal-loving couples, who want to enjoy a romantic night under the stars. At Melbourne’s award-winning Moonlit Sanctuary, you can explore an ark of interesting animals after dark. 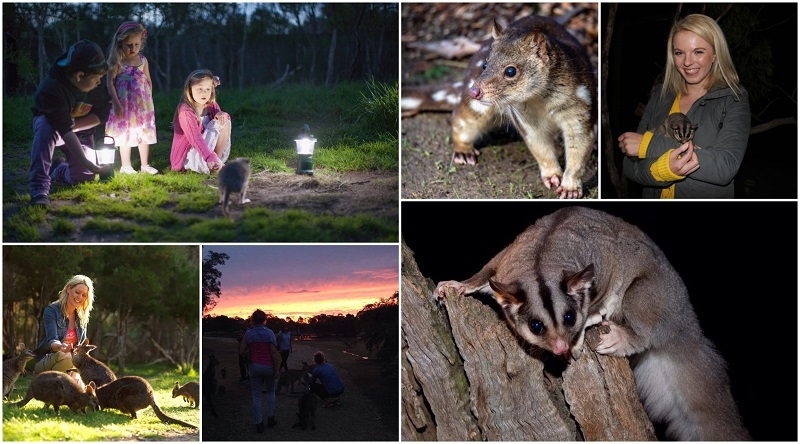 The world-famous lantern-lit night tours offer an intimate look at many of Australia’s native wildlife from just a few feet away. Discover the mysteries and habitats of active night birds and endangered nocturnal animals like quolls, pademelons and bettongs. Don’t be surprised if they want you to feed them. You’ll get a chance to do it on the tour, if you’d like. Why is the evening tour at Moonlit Sanctuary Wildlife Conservation Park a good romantic option? Witness cute nocturnal animals under a romantic starry night sky. Feed animals like kangaroos and koalas in a peaceful bush setting. Experience Australian wildlife hand in hand with your loved one and enjoy a fun night in nature. Looking for a serene retreat away from the big city? A relaxation haven lies just 90-minutes from Melbourne. 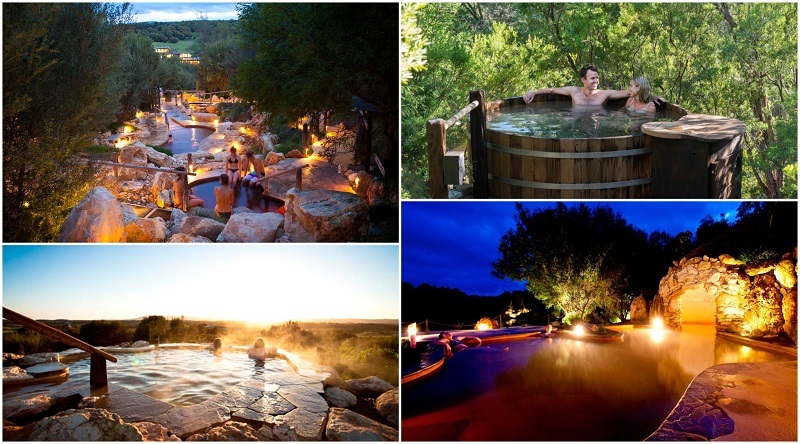 The Peninsula Hot Springs Spa provides an idyllic scenery and spa services to help you rejuvenate. Couples can enjoy the spa’s romance packages, which include amenities like indoor or outdoor private mineral baths, relaxing massages and geothermal bathing. Why is the Peninsula Hot Spring Spa romantic? Relax and unwind with the person you love. Take a soothing dip in a in a romantic private bath with natural thermal mineral water. Rides aren’t just for kids! 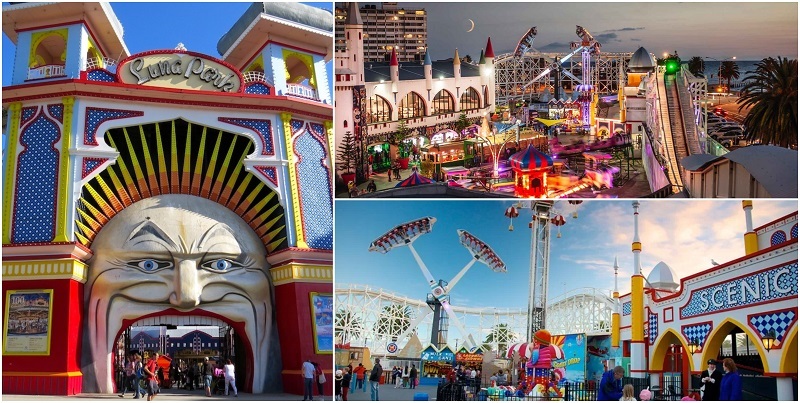 Couples can have a blast at Luna Park, right beside Melbourne’s Port Shore Bay. Here, lovely strolls and fun-filled thrills go hand in hand. There are over 15 rides to enjoy in the park. So, hop on the carousel or even take a ride on the Scenic Railway roller coaster, if you dare. Check out Luna Park’s event calendar to discover cool concerts and festivals hosted in the park for some more relaxed fun. What’s romantic about Luna Park? See wonderful views of Melbourne from the top thrilling rides. You can enjoy a snow cone while taking a romantic stroll outdoors. Relax and enjoy some music at a concert or a festival. Melbourne’s vibrant theatre scene offers cutting-edge performances, hit musicals and even late-night cabaret shows. It’s a no-brainer that many call it the unofficial culture capital of Australia. Many major shows like Wicked, Mary Poppins, Jersey Boys and King Kong, open in Melbourne. Plus, its older, majestic theatres are must-see spots whether you like musicals or not. Phenomenal theatre architecture definitely runs rampant throughout the city. Melbourne’s Art Centre, for example, not only has awesome shows, but also a futuristic appearance built to be stunning. Its 162 metre glowing blue spire, similar to the one of the Eiffel Tower, shines bright among the city streets and welcomes theatre-goers far and wide. Be sure to go see a show here! What’s romantic about visiting a theatre in Melbourne? Watch award-winning musicals and shows for an exciting date night. 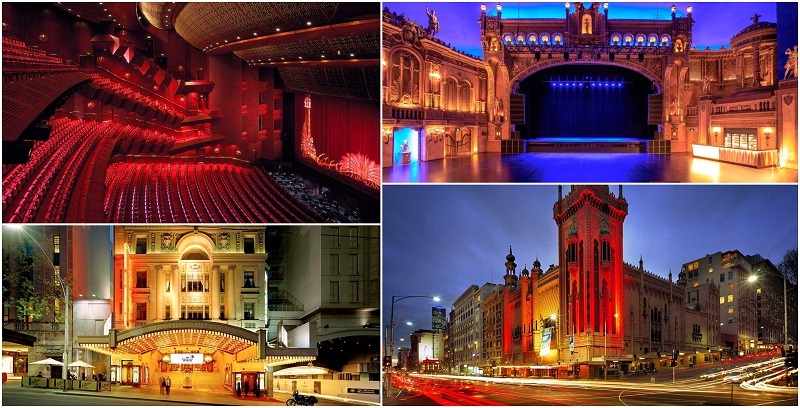 Visit one of Melbourne’s older theatres for a romantic ambiance filled with classic charm. Grab a bite before or after at show. There’ll be plenty of talking points and you’ll be able to easily find restaurants in Melbourne CBD. Want to feel like a royal couple for a day? Hop aboard a horse-drawn carriage and view some of Melbourne gorgeous gardens and other city scenery. Venture through King Domain Gardens and witness the famous Shrine of Remembrance memorial. Then, enjoy another green oasis in the Queen Victoria Gardens and see some of Melbourne’s most eclectic statues. The carriage even crosses over the Princes Bridge, which offers an amazing view of the Yarra River, perfect for a romantic date. What’s romantic about the King Domain Garden Horse and Carriage Tour? See beautiful sights of Melbourne from a beautiful carriage and feel like a prince and princess. Witness lovely gardens and even pass by a giant floral clock. Take romantic pictures right in front of the Yarra River. The Melbourne ArtVo Immersive Gallery is truly one of a kind. 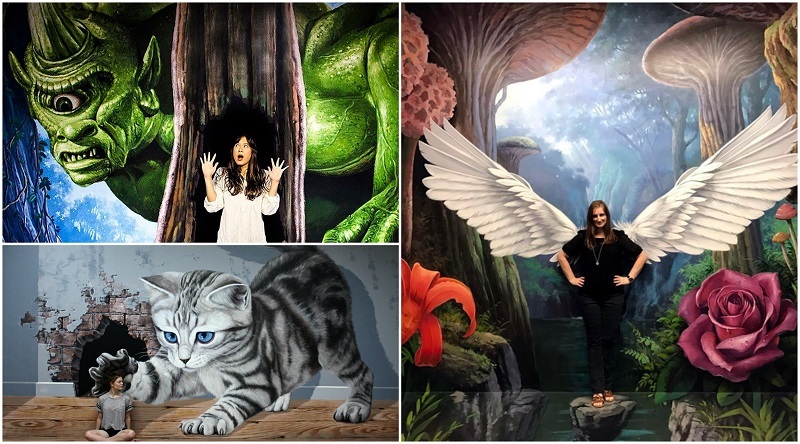 The gallery’s impressive detail transports you into unique fantasy worlds where optical illusions and dream-like 3D environments come alive. With 100 reality-defying 3D artworks, couples can wander this museum for hours. Pretend you’re a mermaid in the aquatic adventure exhibit or get lost in an enchanted garden. Whatever you choose to visit, let your imagination flow to get the best experience. There are also two exhibits dedicated to Australia called Aussie Pride and Australiana, where you can immerse yourself into the country’s culture even more during your visit to Melbourne. Why is the ArtVo Immersive Gallery Experience romantic? Immerse yourself in new worlds in exhibits like Pharoah’s Treasures, Jungle Safari and Dimensional Dreams. The gallery provides a relaxing, uplifting environment packed with vibrant colors and detailed artistry. Take romantic photos with amazing backdrops from the exhibits. Get a birds-eye view of Melbourne at the top of the city’s Eureka Tower. Its a whopping 300 metres above the ground on the 88th floor making it the perfect date for thrill-seekers. Located on the southern banks of the Yarra River, you’ll have 360-degree views of notable Melbourne sites like Port Phillip Bay, Dockland, the CBD sports precinct and much more. If you’re brave enough, take part in the skydeck’s Edge Experience. You’ll not only have reflection-free views, but also an amazing vantage point from a glass cube that extends 3 metres out from the deck. It may seem scary at first, but seeing this side of Melbourne is totally worth it. 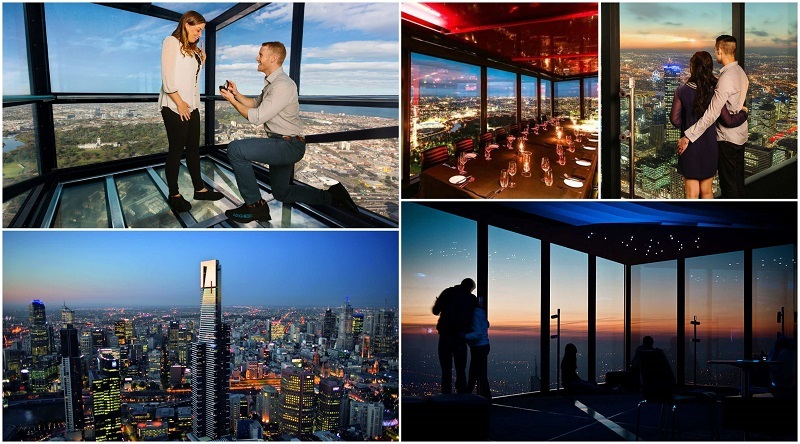 What’s romantic about the Eureka Skydeck 88? Enjoy romantic panoramic views of Melbourne. Thrill-seeking couples can bring on the excitement at the skydeck’s Edge Experience. Indulge a sumptuous romantic dinner at the Eureka Skydeck 89 restaurant. Bookings are required in advance to enjoy their 5 to 7 course menus. 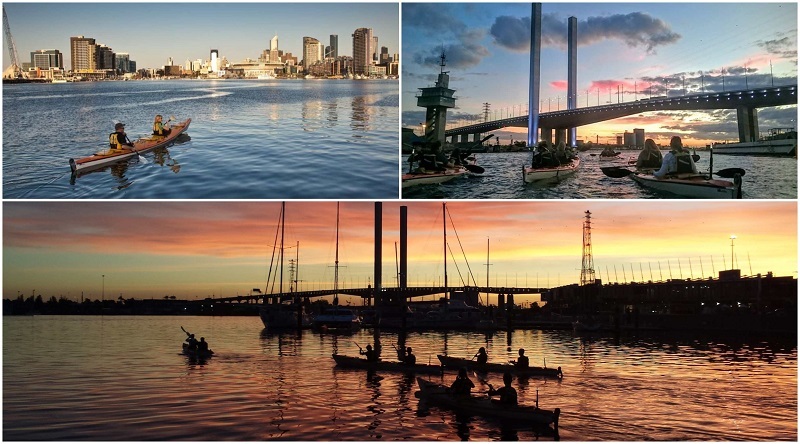 This kayak tour gives you some of the best views of Melbourne during some of its best sunsets. You’ll start your journey in Victoria Harbour where you’ll dine on the water and eat yummy fish n’ chips to keep you satisfied during the 2.5 hour long journey. Then, paddle right into the heart of Melbourne along the Yarra River. 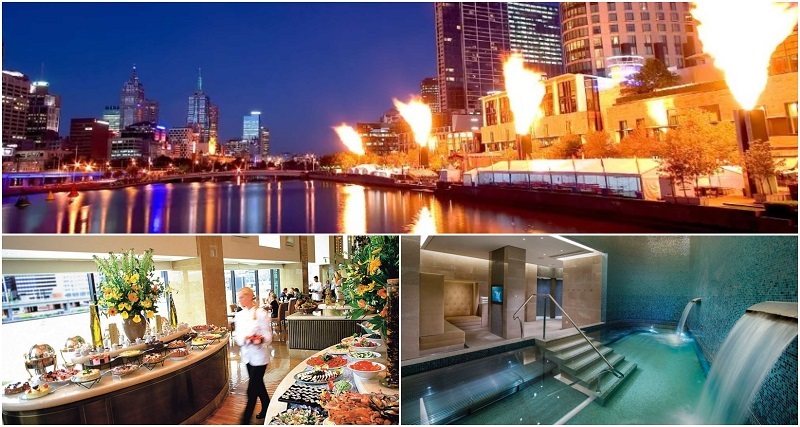 You’ll have a chance to see the dramatic fire-ball display at Melbourne’s Crown Casino, plus a beautiful sunset too. What’s romantic about this kayak tour? Eat a tasty romantic dinner on the water. Enjoy an amazing sunset over the city. Have a relaxing adventure on a kayak with the person you love. Spending the night in an environment filled with wildlife will really put you in the Aussie spirit. During an overnight stay at a zoo, you’ll get an up close look at diverse bush land animals and learn about conservation efforts around the land down under. Which zoos in Melbourne allow you to sleep overnight with your partner? The Melbourne Zoo definitely takes the cake. Its Roar n Snore Overnight Camp lets guests wine, dine and sleep in its historic elephant exhibit. You’ll even take a night tour where you can hear, smell and observe nocturnal animals in their natural elements. Werribee Open Range Zoo’s Slumber Safari – The zoo offers luxury tents with a fully hosted experience. Partake in a variety activities that include amazing close-up animal encounters, drinks at sunset, a night walk and roasting marshmallows over a campfire. Spend a luxurious date night at the biggest casino in Australia. The dazzling, sophisticated setting of the Melbourne Crown Casino rivals some of the best around the world. Even if you’re not into gambling, you can still partake in a lavish, romantic experience at the Crown’s resort. Its packed with a glamorous hotel and spa, restaurants and fun events like concerts and live theatre. Most of all, don’t forget to check out the casino’s spectacular gas brigades fire show, where you’ll see the world’s largest fireballs soar into the sky. This start on the hour Monday to Friday from 9pm til midnight. On weekends, it starts from 8pm. Why is the Melbourne Crown Casino romantic? It’s a classy and sophisticated date night option. You can relax as a couple at the Crown hotel’s spa. You can witness the gas brigades fire show under a romantic starry night sky. Take a romantic walk through the largest open-air market in the Southern Hemisphere. Queen Victoria Market, offers everything from fresh produce to savory smells and delicious pastries scattered throughout its bustling stalls. Want to stroll through the market under the stars? Queen Victoria’s night market increases the hub’s lively atmosphere from November to April. During this time, you can enjoy live music, delicious food stalls and even late-night shopping. Buy a bottle of wine and some fresh food for a romantic dinner at home. 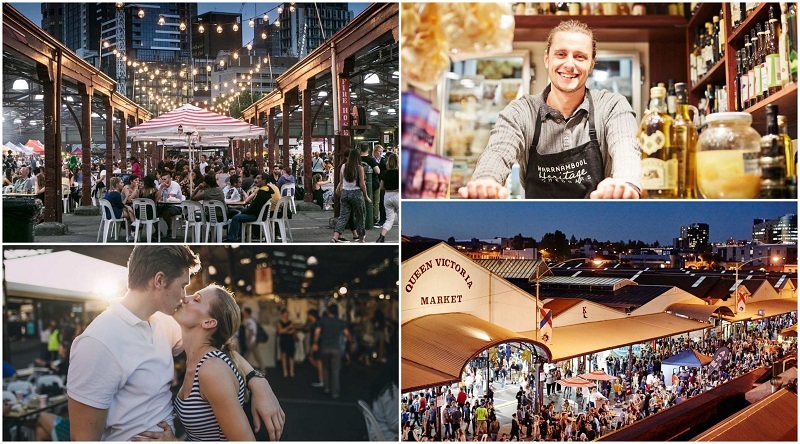 What’s romantic about Queen Victoria Market? Buy some wine and cheese for a romantic night in. Stop by Geloso Gelateria and indulge in an ice cream. Visit RE Incense and Oils, where the smell of romance fills the air. Buy exotic and rare incense and oils here for your home. 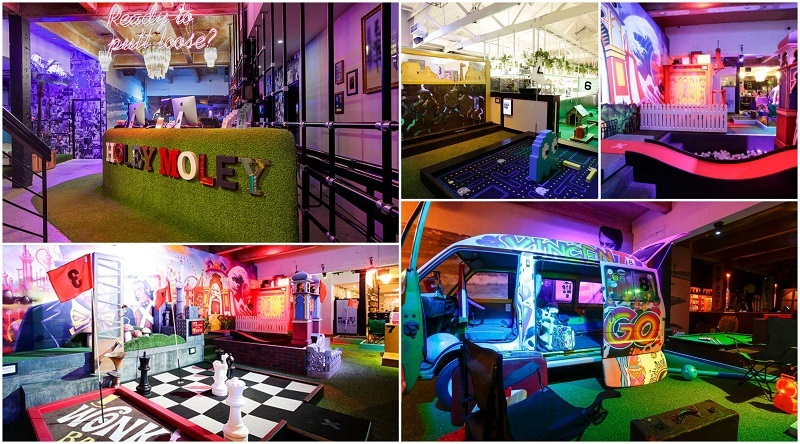 On a romantic date to Holey Moley Golf Club, get ready to show off your putting skills. The club’s mini-golf course offers over 2 levels and 27 crazy pop-culture holes to bring on the competition between couples. Plus, you can even indulge in a cocktail or two at the course’s Caddyshack bar, or belt out some tunes in a karaoke room. There’s one thing that you won’t be able to deny after a visit: that Holey Moley is surely a whole lot of fun. What’s romantic about Holey Moley? Play mini-golf in a fun, vibrant environment. Get access to two Caddyshack bars with a full cocktail menu. Sing your favorite romantic songs in one of Holey Moley’s karaoke rooms. You won’t be the only cutie on a date to Phillip Island. 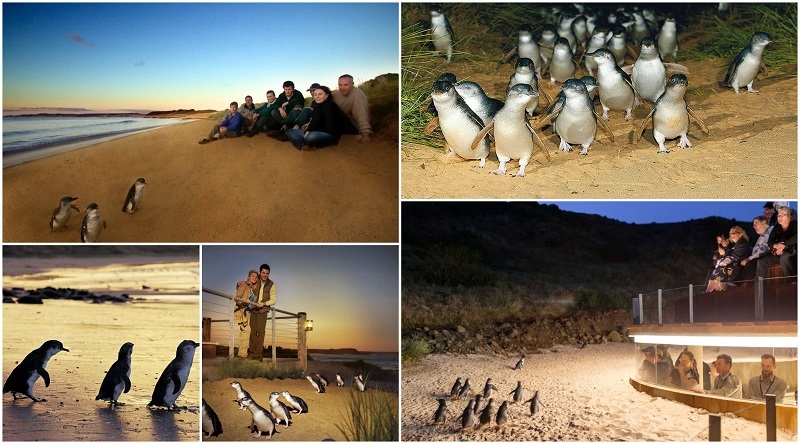 Come see the penguin parade on a natural gem not too far from the city! Each night at sunset, these cute little penguins emerge from the waters and waddle to their homes in nearby sand dunes. This is one of the most popular attractions in Australia just two hours from Melbourne. So, experience it the right way with a tour of Phillip Island. What’s romantic about a trip to see the Penguin Parade? Relax and enjoy bird’s-eye view of the little penguins in the Underground viewing experience. Book a Penguin VIP tour to view the Penguin Parade and the breathtaking scenery of Phillip Island from an elevated viewing tower. Enjoy a romantic sunset on the island. 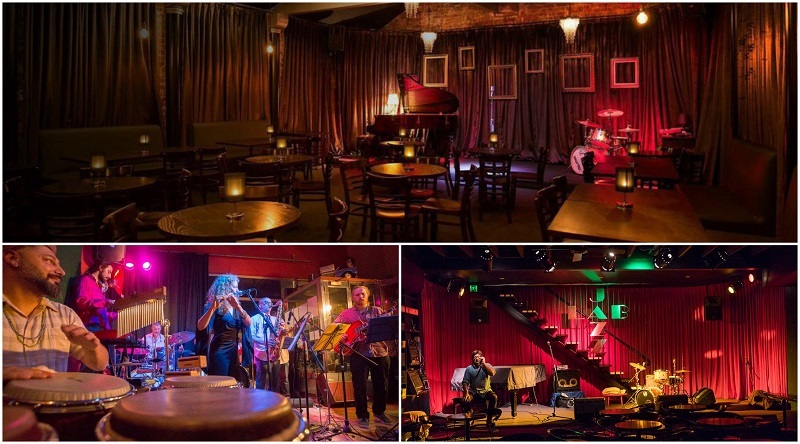 Melbourne is filled with upbeat jazz clubs to get you moving and grooving. Find a great selection of live music every week. From intimate lane way venues, to crowded jazz festivals there are plenty of toe-tapping spots in the city featuring bebop, big band, fusion jazz and even sultry soloists. Check out Paris Cat Jazz Club for live music and yummy tapas, or the Uptown Jazz Cafe, a venue that lines up well-known jazz performers, invokes an intimate atmosphere and has a delicious Japanese menu. What’s romantic about going to a jazz club? Couples can dance together and shake their hips to the funky music. Enjoy a sultry, romantic atmosphere perfect for a date night. Indulge in a cocktail or two or have a romantic dinner. If you love bowling, come on down to Melbourne to make your next strike. The city is teeming with lots of alleys that have their own unique flair and are perfect for a retro-themed date night. 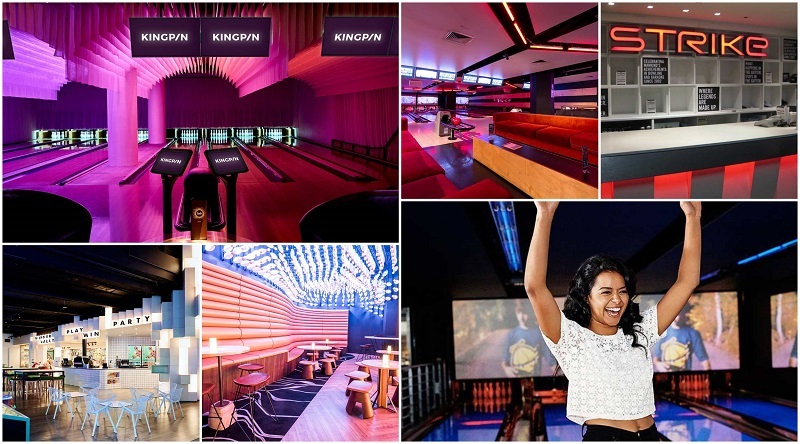 Bowl in style at Kingpin Crown, where pins decorate the ceiling and 12 public neon-lit lanes thrive. Or, head to Strike QV, a retro alley where you can bowl, drink, jam to Rn’B music and even play laser tag with the person you love. Cross your fingers for a lucky strike and bowl away. Couples can have a fun-filled bowling competition. Relax and have a drink in a retro atmosphere. Sing your heart out at one of Melbourne’s hip karaoke bars. Whether you want to belt tunes out in front of a crowd or chill out as a couple in a private karaoke room, there’s something for everyone in Australia’s city that never sleeps. Get the mic in your hand and let loose at one of these amazing hot spots. Check out KBOX Karaoke to sing old school and chart-topping hits under gleaming disco bars, or head to PartyWorld Karaoke, a popular spot with 44 rooms and delectable Asian cuisine. A karaoke date is a great way to have fun and even bring on some friendly competition. Don’t be afraid to sing your heart out! What’s romantic about singing karaoke? Sing your favorite songs and jam to some romantic tunes. 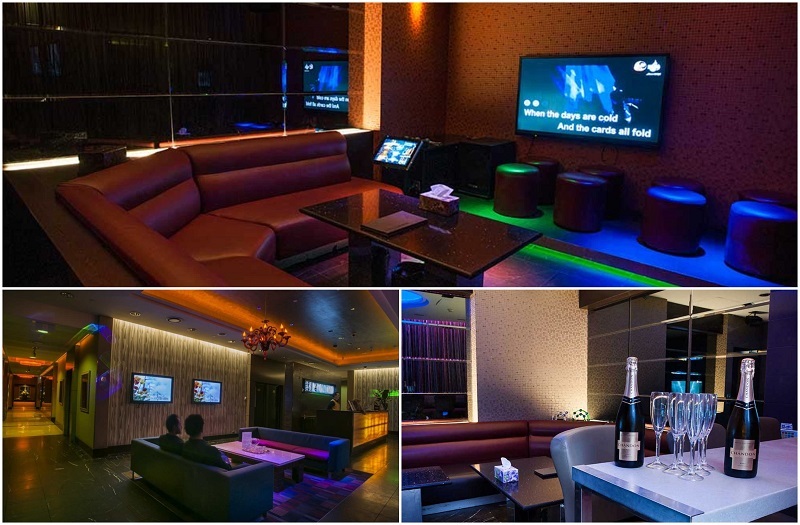 Enjoy a few drinks and eat amazing food in a comfortable karaoke room. In Melbourne, you’ll be spoilt for choices as the city has some the most authentic and best tasting chocolates, ice creams and pastries in Australia. You can join a tour to explore some of the secret allies that only locals know about. 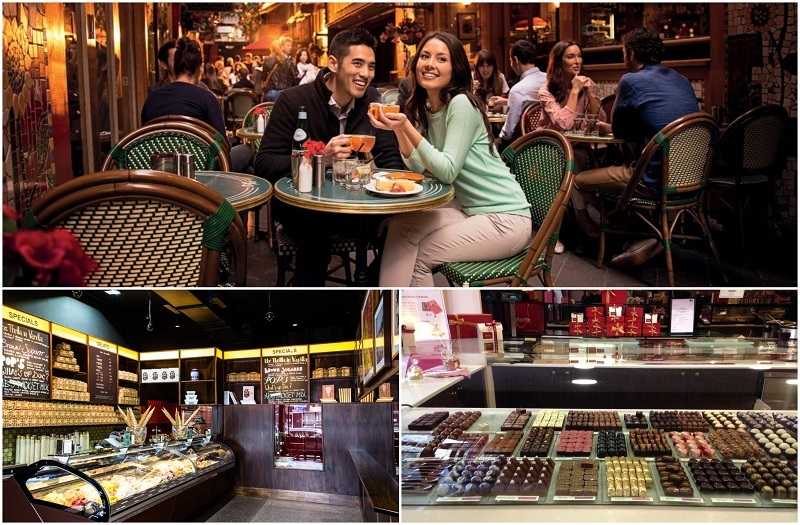 Your guide will show you where to find the best Belgium chocolate, coffees and desert bars. What’s romantic about getting an ice cream? Take it with you on a romantic stroll through Melbourne. Eat a sweet treat with the person you love. Maybe even share one if you’re game enough! If you love Halloween or are a fan of the supernatural, why not book a spooky ghost tour right in the heart of Melbourne. Places like a haunted bookshop, a chilling prison and an eerie insane asylum, truly make it one of Australia’s “ghostliest” cities. There’s a rumor that the city has been a haven for spirits since its founding age. During this era, Melbourne was rife with crime and had infamous outlaws. 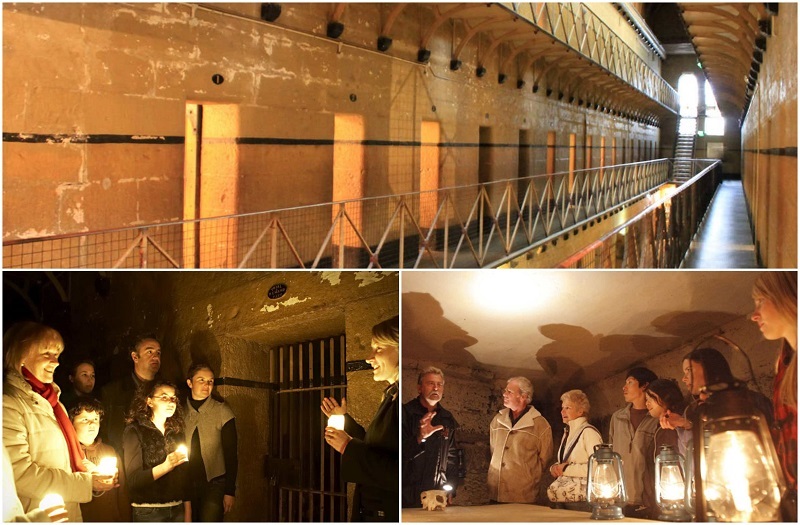 Therefore, people allege that the ghosts of these criminals still stalk the city today, which can make touring one of Melbourne’s haunted sites terrifying, but also loads of fun. If you dare, take your partner on a spooky date! Why is going on a ghost tour romantic? Scream and laugh through a thrilling, haunted and fun experience. If your partners scared, its a great opportunity to give them a hug and comfort them! Scary stories will surely have all couples warming up to each other. These are just some ideas to take your loved one on a romantic date in Melbourne. If you’ve decided to try one of our tips, let us know how you go! Or if you have more ideas, share your comments below. We’d love to add more romantic things to do for Melbourne travellers.